That first week consisted of visiting all my family and distributing the gifts my parents sent them from America. 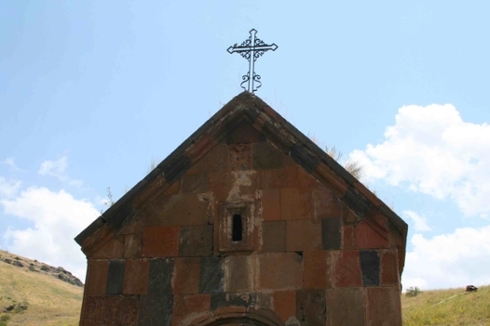 I spent some time in the outskirts of Yerevan, in Abovyan city (where I lived until I was four), and in Zar village (where my grandpa's family is from). I was surprised to feel culture shock in the Motherland, in my hometown no less! 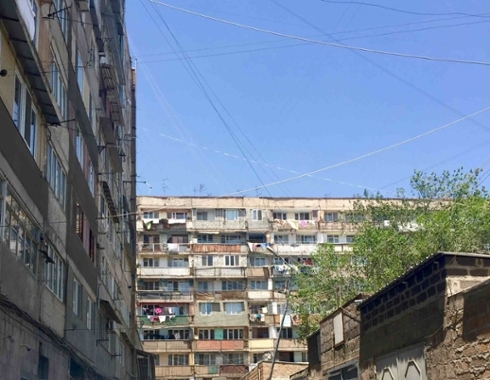 At first I was uncomfortable and homesick because I was noticing only the negative things: the unmaintained Soviet buildings and random cutoffs of water and power. 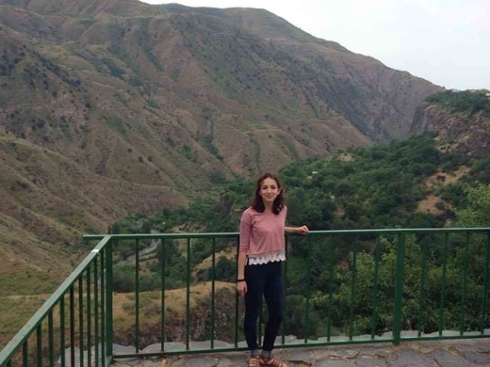 But once I got over the initial shock, I started focusing on the positive things: the exorbitant hospitality, the natural beauty of the landscapes and the ancient churches, and the way people came together for "Electric Yerevan," a huge protest-turned-street-party. During my excursion to Abovyan, I met Vahuni Hovakimyan, a poet who happens to be my father's cousin. We talked extensively about contemporary Armenian poetry; he brought a whole stack of books with him and read several poems aloud, which fueled our discussion. Hearing his views on others' poetry gave me insight on his intentions with his own poetry (which means I already have some edits to do on my translations of his work...). My trip isn't all family and poetry though. My boyfriend came to Armenia a week after I did through a grant from Princeton to study Armenian folk music. As his personal translator, I am getting a chance to accompany him to his duduk lessons, his performances at Yerevan jazz clubs, and concerts in the city. 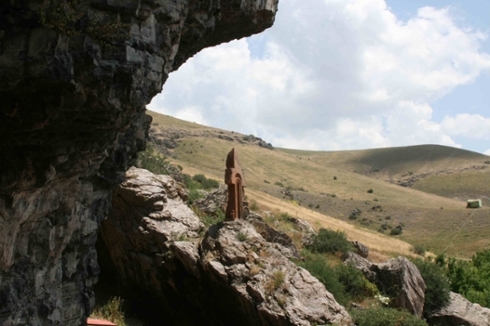 Through both of our projects, I am connecting to Armenian artists and learning a great deal about the state of contemporary art here. Ahead of me: some serious translation sessions in our apartment, meeting three more poets, exploration and adventure!